If a person is planning on updating their home window treatments, it is a good idea to go green and to check into the many benefits of natural window coverings. These window coverings come in a wide variety of different colors, styles and patterns, which means a better selection and more options to pick from. The standard of natural window shades allow light to stream through the wood, but newer versions can be adapted to whatever light level a person desires. The most common type of natural window covering is woven, but there are also other patterns which can be braided or even tortoise shell patterns. In addition to being an attractive option for window coverings, there are also homeowners that use them as an inspiration for home decorating. When researching the option of natural window coverings, it is important to consider where in the home the coverings will be used – are they going to be in a bedroom, bathroom, kitchen or living room? If they are to be used in a bedroom, a person would probably like the room to be darker than other rooms in the home. Picking a darker natural window covering for the bedroom will block out the light and keep it from penetrating into the room. A person can custom order a natural widow covering with a liner to control the light and to block out any noise from the outside as well. Looking at the different designs available with natural window coverings will give a person an idea of what they would like the room to look like. If going for a rustic look, there are many great patterns which will compliment the décor and give the room a country-like feeling. 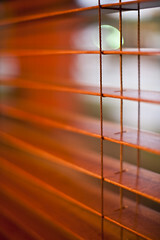 If a person has cedar or light wood furniture, natural window coverings will pair well and look great. One major benefit of choosing natural window coverings is the fact these types of additions are eco-friendly. Many people are currently looking to “go-green,” and want to protect the environment and by using all-natural treatments, you can do your part too. These products are durable, long-lasting and can be recycled, which helps to control the amount of waste in a landfill. To add a touch of class and elegance to your home, it is well worth the idea of looking into natural window coverings. They are versatile, can be purchased to match any type of home décor and offer years of lasting enjoyment. An excellent addition to the home, these treatments offer protection against sunlight and can be a great way to spruce up any room.